Ultrasonic CEO Qingyong Wu, who was reported missing last week along with most of the company’s cash, has spoken to Chinese media and denied wrongdoing. Qingyong Wu said in an interview with Chinese news service Sina that he had been on holiday with his grandson and had lost his mobile phone. Last week, the Chinese footwear company said it had dismissed Qingyong Wu from his post. 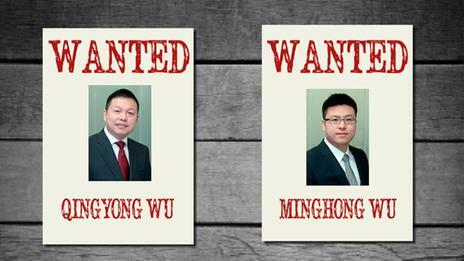 Ultrasonic said Qingyong Wu and his son, who is chief operating officer, had vanished. The company, which is listed in Germany, said that both the men, Qingyong Wu and Minghong Wu, had “apparently left their homes and are not traceable”. At the same time, its cash reserves in China and Hong Kong had been transferred and were “no longer in the company’s range of influence”. In response to Qingyong Wu’s interview, Ultrasonic said the chief executive had contacted the company’s chief financial officer, Chi Kwong Clifford Chan, over the weekend to say he would return to the company and bring back the money. Ultrasonic added that its supervisory board had been unable to speak to Qingyong Wu in person. The Cologne-based firm has said that its German holding company still has a “relevant six-figure amount” of money under its control, so it is still able to meet its payment obligations as normal. Ultrasonic specializes in the design, production and sale of shoe soles, sandals, slippers, urban footwear and high-end accessories. With several facilities in the People’s Republic of China, it targets the country’s burgeoning middle class. Ultrasonic had been enjoying steadily rising revenues and profits. Revenues had grown nearly 10% to 163.8 million euros over the last five years, while net income had risen nearly 14% to 35 million euros. In 2013, Ultrasonic had more than 100 million euros of cash reserves.